Riverchase may have been around for 40 years, but its mission of sustainability is cutting edge even by today’s standards. Sustainability. Urban planning. Walkability. Land conservancy. Small footprint. Water protection. These are all hallmarks of most modern residential developments. And for modern home buyers many of those attributes are requirements. But while many residential developers are including those buzzwords in their promotional materials, North-Central Alabama’s Riverchase Residential Association has been dedicated to those tenets of sustainable development since before ground was broken over thirty years ago. Beginning in the 1950s and continuing through the 20th Century, Americans started moving out of cities and into suburbs. Birmingham was not immune to this outward expansion with such suburbs as Homewood, Vestavia Hills, and Hoover seeing huge growth year after year. As that expansion continued, however, there was the loss of pristine Alabama wilderness to make way for homes, businesses, and roads. It was inevitable that Birmingham’s expansion would reach the Chace Lake area. Seeing a chance to both capitalize on the suburban shift and to conserve part of greater Birmingham’s wilder parts, the B.L. Harbert Company and the Equitable Life Assurance Society jumped at the opportunity. 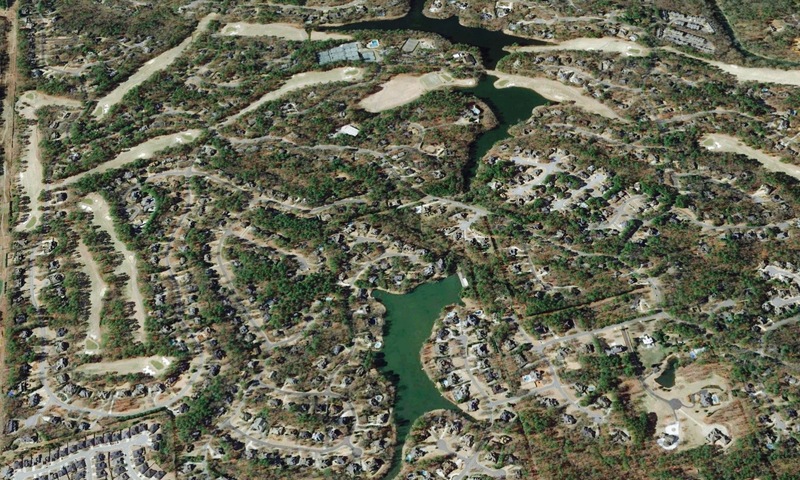 In July of 1979 the first draft of the Riverchase master Development Plan was drawn up by Harland Bartholomew and Associates in Atlanta with the express intention of building homes within the natural a landscape rather than altering the landscape to suit the home. The driving force behind such an undertaking is that human progress doesn’t have to come at the expense of the natural world. Instead, the initial project sought to establish harmony between people and place. Nearly 40 years later, the Riverchase Residential Association remains dedicated to that Master Plan. Although the map may look different, the mission remains: achieve harmony. With houses that have been home to multiple generations, Riverchase is finding new life with residents who value those same tenets of sustainable living and who want a place they can make all their own.